Shadolls focus on disrupting the opponents plays via the shadoll effect monsters and punishing special summoned monsters via the El-Shadoll Fusion monsters. 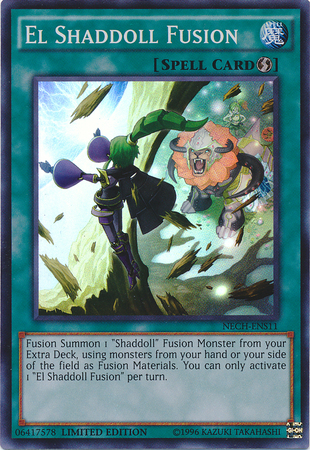 Fusion Summon 1 "Shaddoll" Fusion Monster from your Extra Deck, using monsters from your hand or your side of the field as Fusion Materials. If your opponent controls a monster(s) that was Special Summoned from the Extra Deck, you can also use monsters in your Deck as Fusion Material. You can only activate 1 "Shaddoll Fusion" per turn. Cards tips: This card is useful for saving your el-shadoll cards from certain doom as well doing some heavy damage during your battle phase. For example, during the battle phase you can activate this card after you have finished attacking with all your monsters to further do some damage with a newly fusion summoned monster. 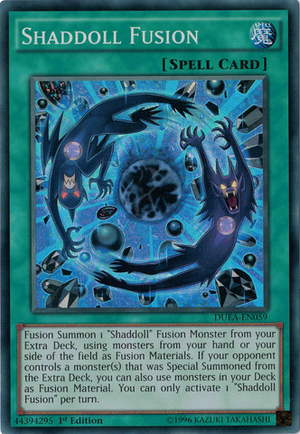 If someone targets one of your prized fusion el shadoll monsters, you can chain this, get a newly fusion summoned monster, their card effect doesn't resolve because they lost the target. 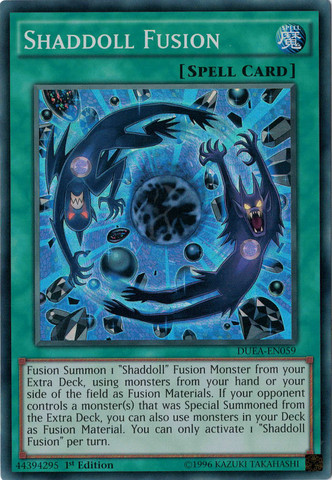 The El-shaddoll fusion monsters are the key cards of this deck it is for this reason, i recommend putting 3 copies of el-shaddoll fusion and shaddoll fusion your deck. Send 1 "Shaddoll" card from your Deck to the Graveyard, then you can change any number of face-down Defense Position "Shaddoll" monsters you control to face-up Defense Position. 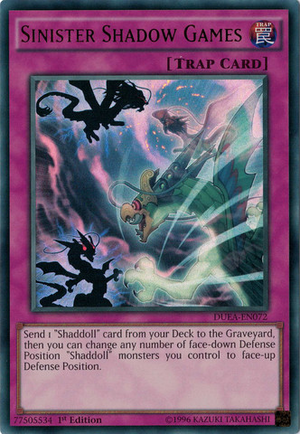 Why this cards are important: This allows you to pretty much send any shaddoll card from your deck to the graveyard allowing to trigger various shaddoll card effects.